Serve this tasty smoked oyster appetizer dip with crackers, tortilla chips, pita chips, or bagel chips. 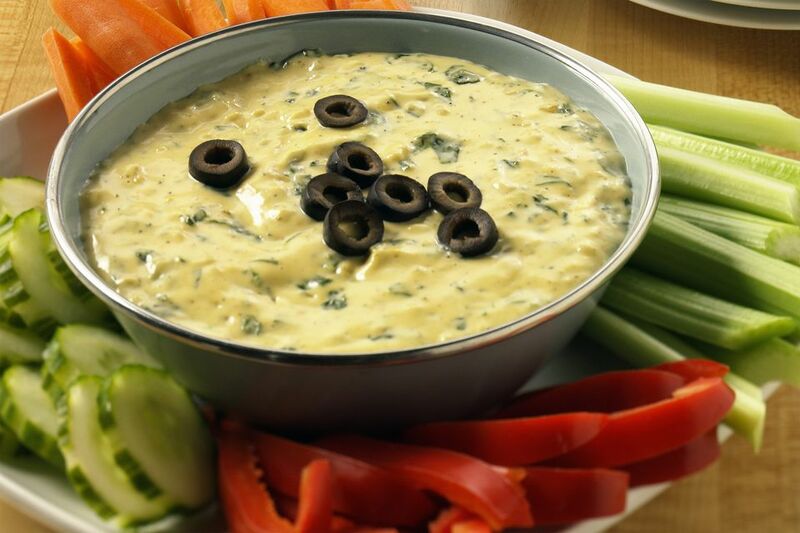 For some extra color and flavor, feel free to add a few tablespoons or fresh chopped chives or parsley to the dip along with the olives and oysters. Or sprinkle the top of the dip with sweet paprika. In a medium mixing bowl with an electric mixer, combine the softened cream cheese, mayonnaise, lemon juice, garlic, salt, and hot sauce. With a spoon or spatula, fold in the chopped or sliced ripe olives and smoked oysters.